Valley of the Waving Bunchgrass or Paradise Valley are but two of the early names given by those early wanderers and settlers to the pretty valley that lies fifty kilometers southwest of Williams Lake BC on the Dog Creek Road. 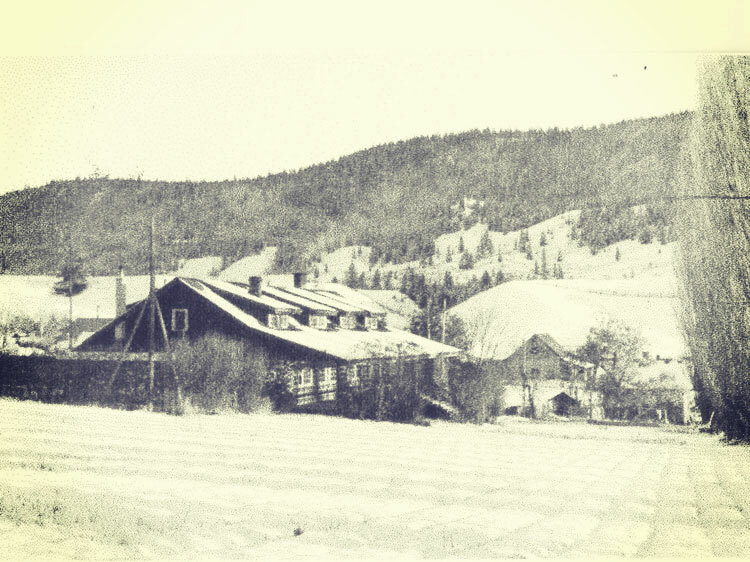 This became the home of what it now BC’s oldest cattle ranch. Alkali Lake Ranch can trace its origin back to the mid-1800s. It is now, and always has been privately owned and operated. An early resident of the valley went by the name of Herman Otto Bowe. He established a stopping house in what he called Paradise Valley and word soon spread about the quality of his establishment. 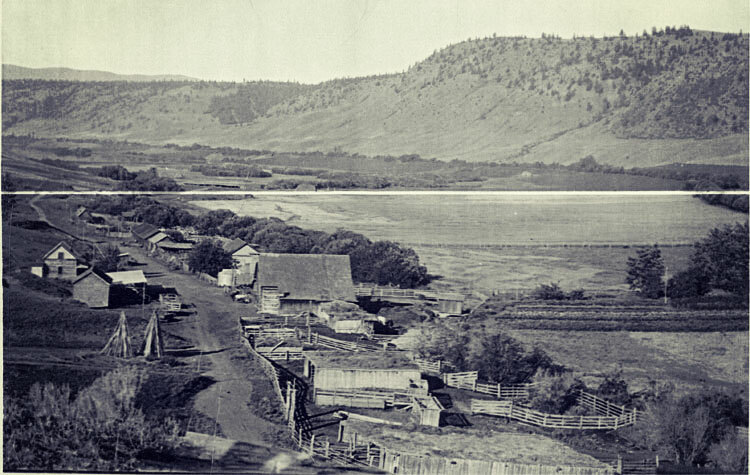 It was so often described ‘as the place near the lake with the patch of alkali visible on the hillside’ that it is no wonder that it came to be called the Alkali Lake Ranch. In 1977, after the estate was settled, the Mervyn family from Kelowna would become the new owners. Doug, his wife Marie and the youngest two children, Lisa and Tim moved to Alkali. They were newcomers to the business (Doug had always dreamed of cattle ranching) and Bill Twan stayed a few months to help them settle in before he retired and moved to Williams Lake. 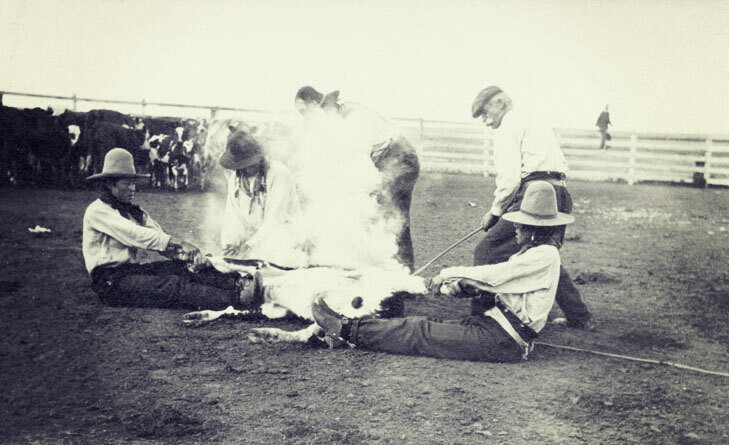 Alkali is a cowboy outfit, with all of the cattle work done on horseback. The deeded country is semi-desert with cactus, sagebrush and bunchgrass and the cowboys ride all sorts of different terrain. The ranch maintains a horse herd of approximately 40 head. The ranch employs from 8-20 people depending on the time of year; they run a bunkhouse with a cook. Alkali Lake Ranch was awarded the BC Cattlemen’s Environmental Stewardship award several years ago for improvements to the feedlot that included fencing the cattle off from the creek, building ditches for runoff, and installing waterers for the cattle. Being environmentally aware is a responsibility the ranch is happy to shoulder. Alkali Lake was privately sold to Douglas Lake Cattle Company, bringing these two historical ranches together in April 2008.